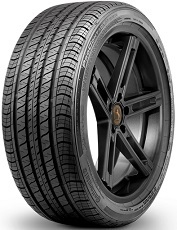 All-Season Passenger Car Touring tire. Original Equipment (OE) on Many Sophisticated Coupes and Luxury Performance Sedans. Self-Supporting RunFlat (SSR) Technology available on Select Sizes.